Because the piano trio is the most popular format in jazz, and because a new jazz piano monster turns up at least once a month (many from outside the U.S.), competition is fierce. 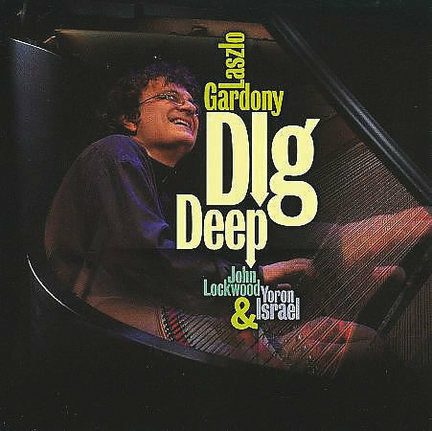 Laszlo Gardony is a capable pianist. But its title notwithstanding, Dig Deep lacks the depth to stand out in a crowded field. The music is less interesting than its thesis. Gardony’s tunes are each about one thing: catchy, complex syncopations on “In Transit,” acoustic-trio-power-rock on “Heavy,” a sanctified prayer meeting on “Sunday Afternoon.” Each piece has one idea, which is established early and repeated. The listener “gets it” in two minutes max, which is a big problem, because each track is five minutes long.